Earlier today we learned that Zack Snyder will officially begin production on the first Justice League movie in April, and the director is already gearing up for DC’s epic superhero team-up. 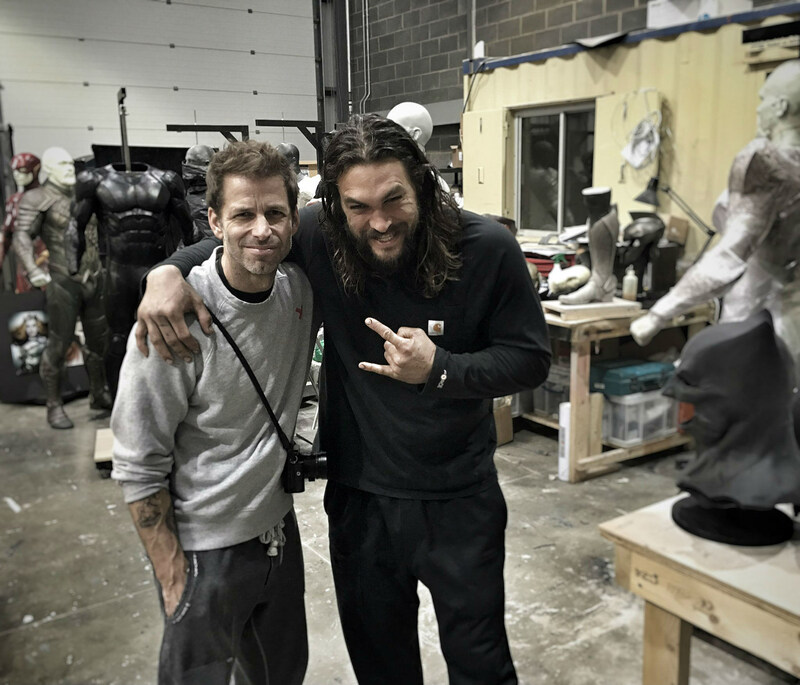 Snyder shared a behind-the-scenes photo from pre-production, featuring Jason Momoa and a few superhero costumes in various stages of completion — including Ezra Miller’s costume for The Flash. You’ll notice Ben Affleck’s Batman cowl, and what could be Aquaman or Cyborg’s suit there on the left…and oh, what’s that red thing? That’s The Flash’s suit! It is indeed red — it’s a deeper shade like the one Grant Gustin wears on The CW’s series, but this one has a metallic sheen to it, which should look nice when he’s zipping around. Justice League Part One also stars Ray Fisher as Cyborg, Gal Gadot as Wonder Woman and Henry Cavill as Superman, and hits theaters on November 17, 2017. Part Two arrives on June 14, 2019.